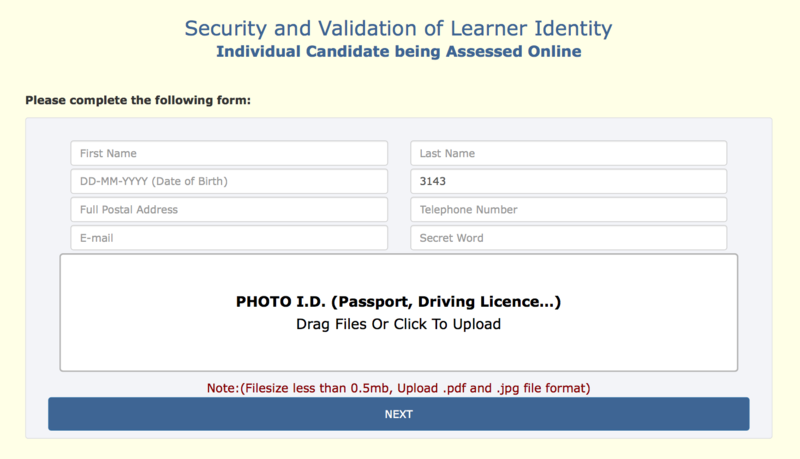 Prior to sitting their online assessment, candidates will be presented with a confirmation page where they will be asked to confirm by means of a tick box (Yes/No), that they are in an area with good internet access, their computer/ laptop is in good working order and has webcam facilities (for verification purposes only) and that they are sitting with correct posture in a quiet and calm environment conducive to sitting an examination. 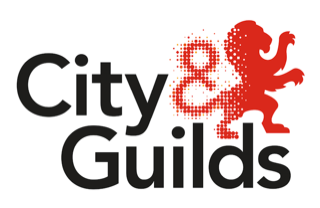 Webcam footage will only be kept for a period of two weeks - after which it will be deleted from our servers. Confirm a Declaration stating that all the information they have given is true and that they are the person stated on the form and taking the assessment. They are aware that if it comes to light that any fraudulent activity has taken place, their score will be nullified, their certificate revoked and criminal proceedings may commence against them. They agree to be recorded by webcam whilst sitting the assessment, purely for verification purposes. 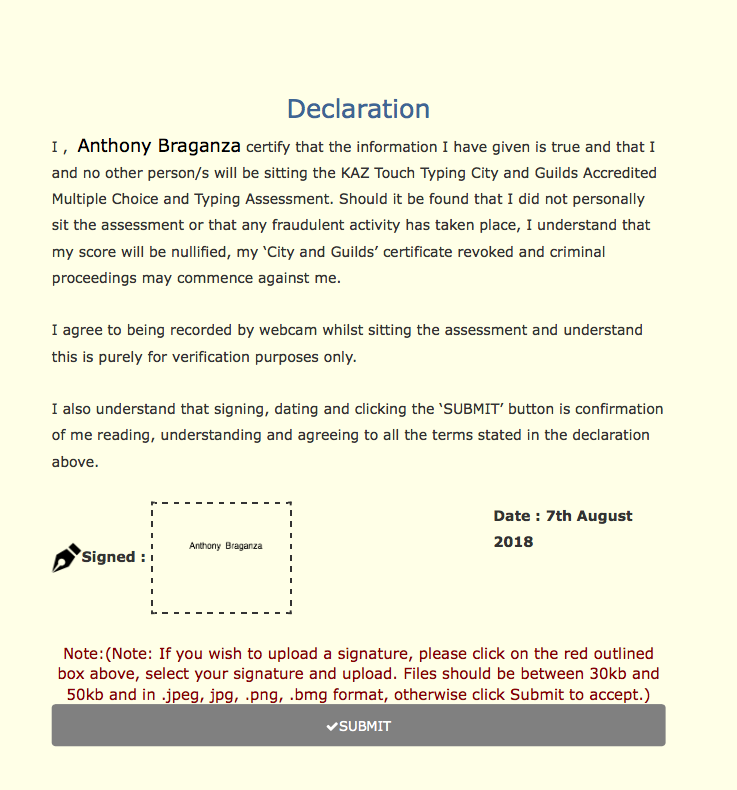 They understand that clicking the ‘SUBMIT’ button is confirmation of them reading, understanding and agreeing to all the terms stated in the declaration.